Car shoppers searching to get the best deal possible on a pre-owned vehicle will want to consider shopping from a wholesale pre-owned dealership. There are multiple benefits to shopping from a wholesale dealership that help consumers save money on their car purchase. 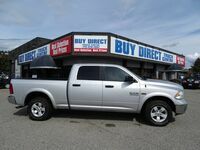 Car shoppers looking for a wholesale used car dealership in Kelowna BC will want to pay Buy Direct Truck Centre a visit. Wholesale pricing helps ensure car shoppers are getting the best deal possible on their used car purchase. Choosing to shop from a wholesale dealership provides benefits to car shoppers in a variety of ways. 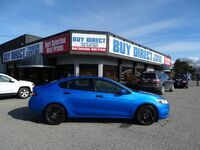 Our inventory of pre-owned vehicles available at Buy Direct Truck Centre is always changing, so check back regularly to stay up to date on the vehicles we currently have to offer. Many of the vehicles in our wholesale inventory are already at their depreciated value. This means your pre-owned car will not lose value as you add on miles. Much of our wholesale inventory comes from government or rental fleets. This means that the vehicles have had regular routine maintenance and all services have been documented. Many of the models in our wholesale inventory come from brands and makes that have been discontinued. The pre-owned market is the only place to find these orphan cars. 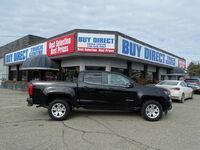 Our pre-owned and wholesale inventories at Buy Direct Truck Centre offer a wide variety of used vehicles from many different makes and models. We are committed to providing and impressive selection of pre-owned car, truck and crossover models to our visitors. Once you find the ideal vehicle in our inventory at Buy Direct Truck Centre, we can help you find the financing options needed to get behind the wheel at the best rate possible. If you have bad credit, or no credit, our team will be able to work with you to get you approved and back on the roads. Contact our financing team at Buy Direct Truck Centre to discuss your car financing options. Interested in applying for financing at Buy Direct Truck Centre?